I’m a fairly new mom myself, but I am always excited to share my baby gear finds with new and experienced moms. Moms can get overwhelmed with how much baby gear is out there because the competition is fierce! Down the road I will offer more product reviews of baby items, but here is a quick lowdown of my Top 3 Favorite Items. Strollers: BOB Gear – I am a HUGE fan of BOB, and I actually didn’t end up getting one until my son was a year old, and I totally regret it. My brother (who happens to love REI, haha) kept asking me why I didn’t get one in the beginning and I’ll be honest, the price tag stopped me. If you’re daunted by the cost (my husband was at first), don’t be, because it is worth every penny! After we first purchased our single BOB, he became pretty spoiled and gets upset with any other stroller we take on trips. Sometimes people wonder if this could be your go to stroller if you’re only planning to buy one, and my answer would be a resounding YES. 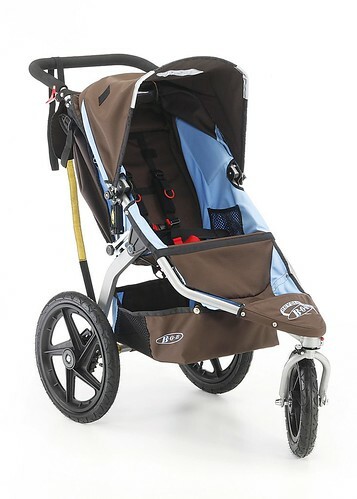 Although it’s a jogging stroller, many parents love using it for everyday errands; I know I do! It is a tad bulky, but the features are endless and the easy “one handed” push is also a life saver when you have multiple kids in tow. 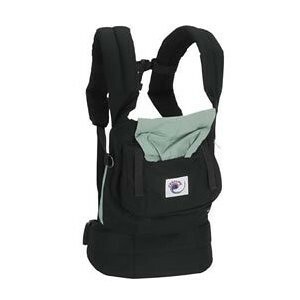 Diaper Bags: Ju-Ju-Be – I am a sucker for diaper bags too, and I probably would have a dozen, but I am trying to keep my husband sane. I’m the type of mom who tries to be prepared for EVERYTHING, so a diaper bag with plenty of pockets and organization are a must. 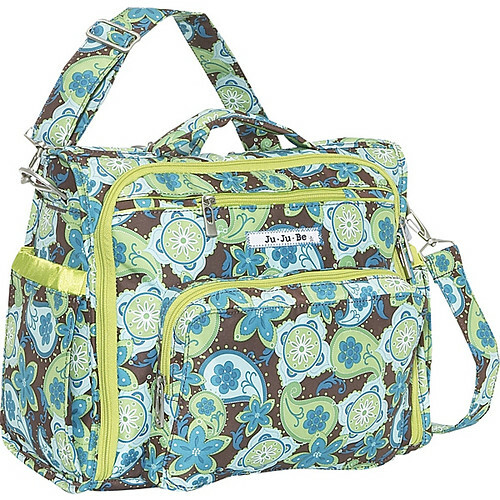 Ju-Ju-Be Bags have a great selection of styles of diaper bags, whether it be be a backpack, messenger bag, hip bag, etc. They also offer a variety of great prints too. I have owned the Pack-a-be and the BFF, and the BFF is my favorite. I can switch from a messenger to a backpack in seconds, or carry it by it’s convenient handle. Their are plenty of pockets inside and out, and the signature elements of Ju-Ju-Be bags are there Agion antimicrobial protection, 3M insulated bottle pockets, matching changing pad, “crumb drains,” and the essential “Mommy pockets.” Check out the videos on their site, I’m sure you’ll fall in love with the features. So those are my Top 3 Baby Gear Items! Again I will go in depth with more products soon, so stay tuned! ‹ Chocolate, Sprinkles, Cake Pops, Oh My!